We’ve introduced some great new Artists and Artwork to Aston Art. Mike Harbar is passionate about cars and drawing them, he works as a freelance car illustrator with over 200 very satisfied customers world-wide, producing commissioned artwork for magazines, car specialists, club events and private enthusiasts. His prints are available from AstonArt.com in Black and White or you can have them personalised with your chosen colour and number plate. We would also like to introduce Dennis Hoyt, whose wood sculptures are amazingly lifelike...from concept to production. The intricacy of each piece is unmatched, creating visually stunning and one of a kind wooden masterpieces, that are sure to be an eye catching conversation piece. As well as the new artists we still have a great selection of prints from award winning photographer Tim Wallace. Look out for several new additions in the New Year including the 2013 Calendar shots! 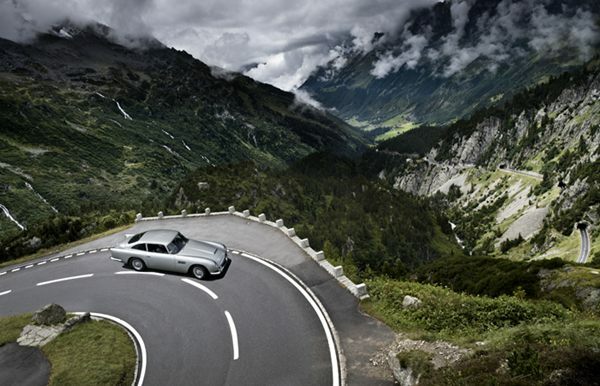 The latest 'Limited Edition' print from Tim Wallace entitled 'Simplon Chase' is now on sale at AstonArt.com and features an Aston Martin Vantage being chased through the Simplon Alps Pass in Switzerland by a Classic DB5. The world famous Aston Martin DBR1/2 makes history as the most valuable Aston Martin, on sale on the open market for a staggering £20 Million. Aston Martins most successful racing car the DBR1/2, is regarded as one of the finest built by the firm in its 99-year history but also one of the rarest. This is reflected in the record breaking £20 Million price tag attached to this particular car - four times as much as any British car ever sold publicly. The only cars known to have fetched more are the Bugatti Type 57C and Ferrari 250 GTO - with these changing hands behind closed doors. This 1957 model has been raced its entire life, meticulously maintained, and is now on the market for the first time in 20 years with Ascot – based Talacrest. 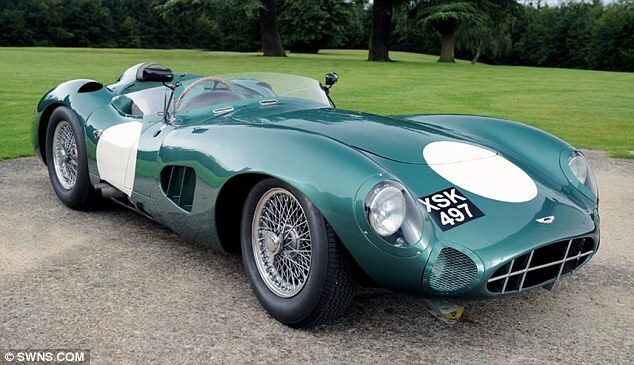 Built by Ted Cutting, the Aston Martin DBR 1/2 is fitted with a three-litre engine which put out around 250bhp. 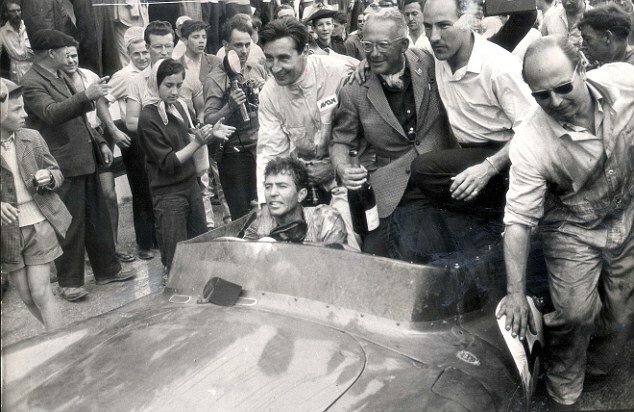 The road-legal sports car triumphed at the 1957 Nurburgring 1,000km race, 1957 Spa Grand Prix and the Goodwood Tourist Trophy in both 1958 and 1959 when Stirling Moss drove to victory. As well as Le Mans in 1959, with Carroll Shelby and Roy Salvadori behind the wheel, the car averaged 112.5mph over the 24-hour period in its finest moment. 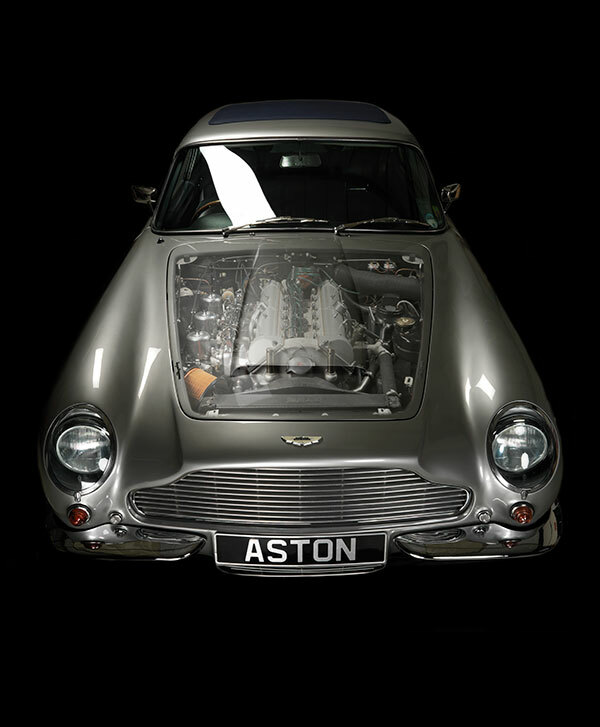 Founder John Collins described it as 'the holy grail of motoring' and 'the most recognisable and valuable Aston Martin in history'. 'I would say it is one of the top five cars in the world, and models of this calibre and undisputed provenance are rarely available on the open market,' he added. We are all very excited about the launch of our new “Aston Enhancements” website. The site provides an interactive and illustrated guide to the many modifications Aston Workshop can offer the owners of classic Aston Martins. 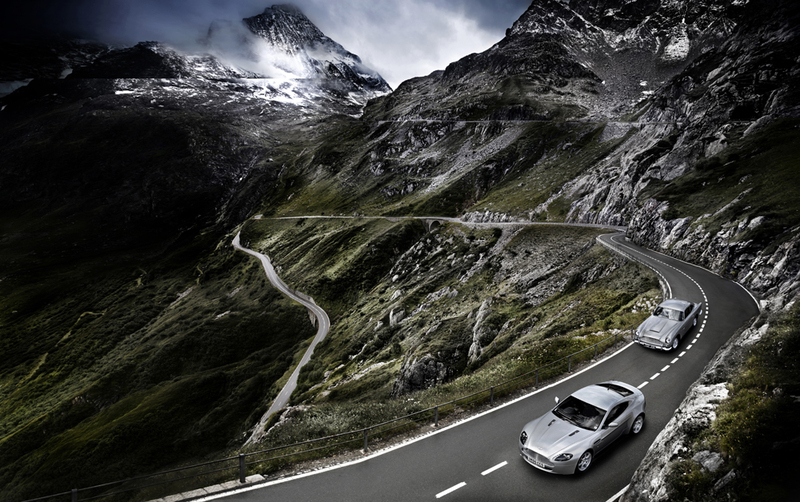 As a company, we are constantly looking for ways to improve the safety, performance and comfort of these beautiful cars without compromising the integrity of the Aston Martin name. This new site outlines most of the upgrades available today, with new developments to be added as they are introduced. Not only is the site a great resource for those looking to improve their Aston, but it also happens to be one of the best looking sites we've produced to date, with some fantastic images from Tim Wallace. The naturally-aspirated V12 provides high levels of power and torque yet it delivers a flexible, refined driving experience illuminated with the potential for truly electrifying performance. The 0-62 mph sprint is dispatched in just 4.5 seconds while this most potent Aston Martin Roadster is capable of 190 mph. A fantastic selection of new prints are now available. These represent some of the finest shots yet from esteemed lensman, Tim Wallace. They include stunning photographs of the iconic Aston Martin DBR2 racer as well as some very interesting DB5 detail shots. 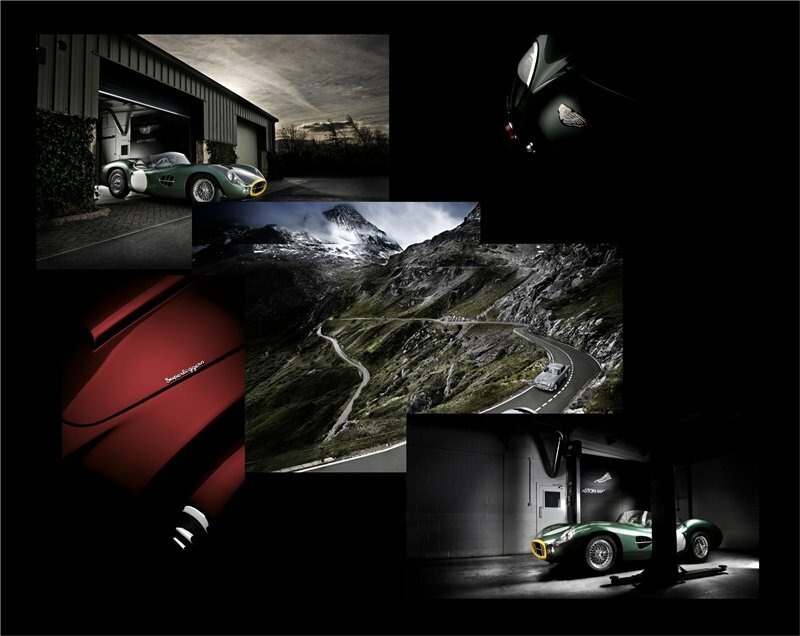 In response to public demand, you are now able to buy a fantastic, high quality print of any of the stunning Tim Wallace photographs featured in our new 2012 calendar.